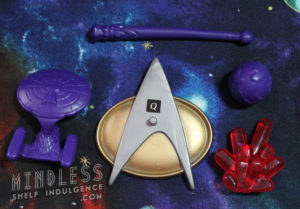 Q comes with purple accessories that include a small Enterprise, a staff, and a small Earth. 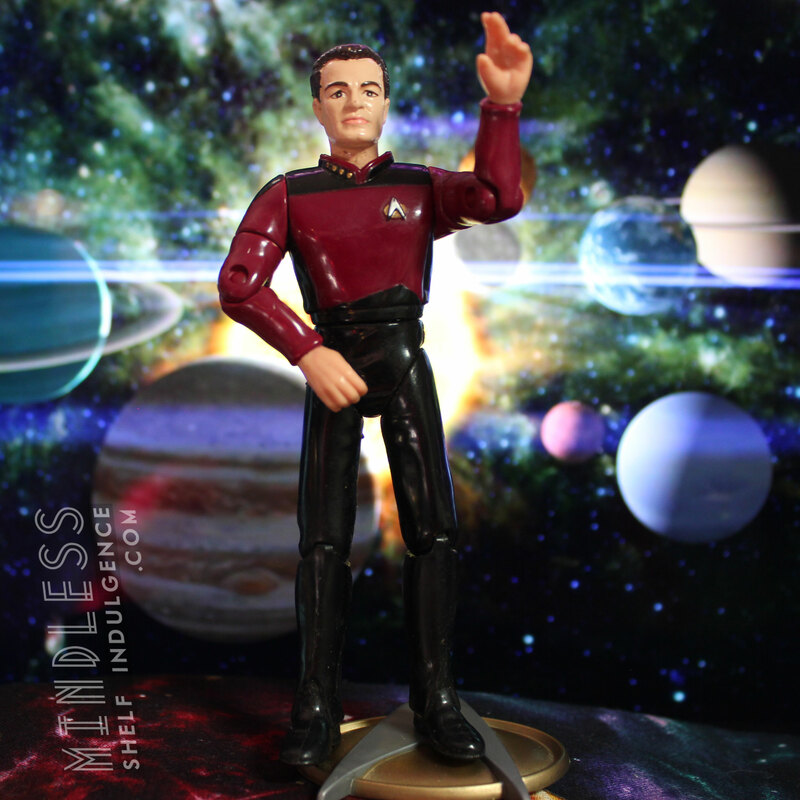 He also comes with red Dilithium crystals, and a Starfleet base. Enterprise Q’s outfit is black on top, red on bottom, while DS9 Q‘s colors are reversed. 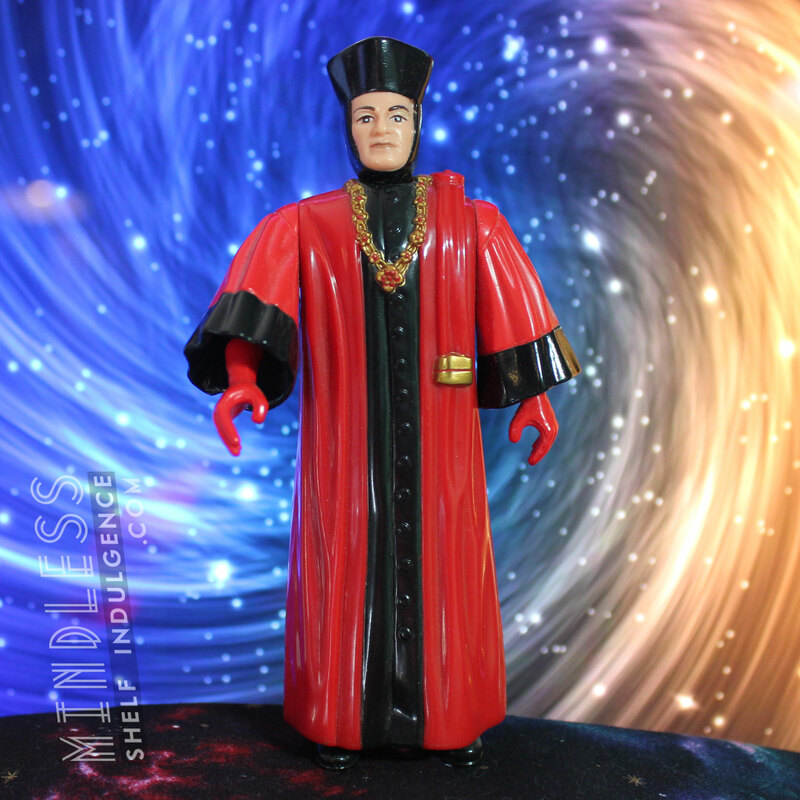 While Q appeared on Next Generation, Deep Space Nine, and Voyager in many different costumes, it’s pretty disappointing that we only got 2 Starfleet outfits and his First Appearance judge’s robes. Where’s Soldier Q, Mariachi Q, and Human Q? And Q’s wife, Female Q? 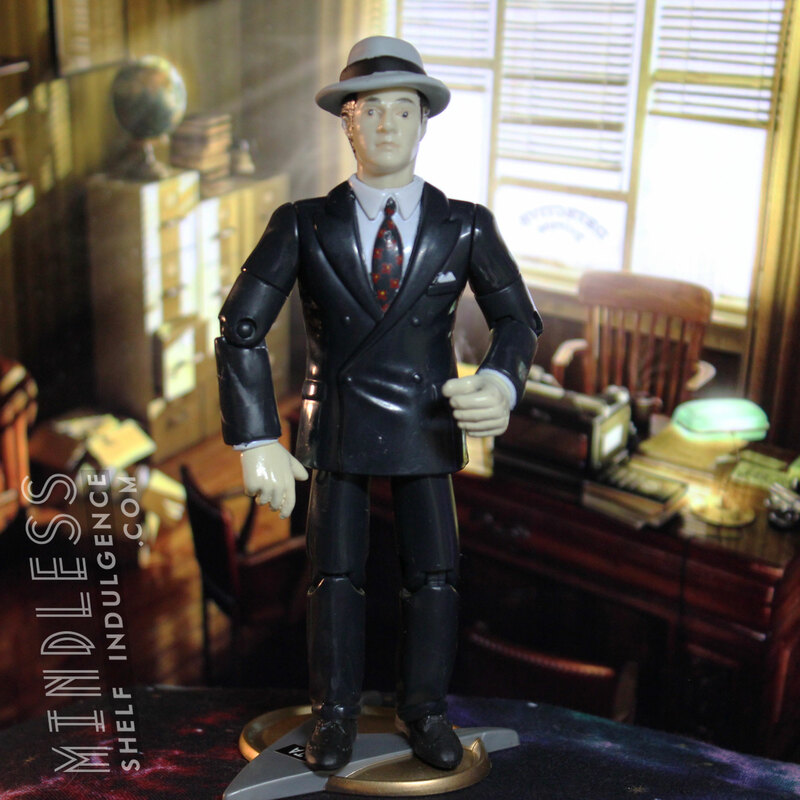 For now, we’ll settle with the Q action figures we did get. 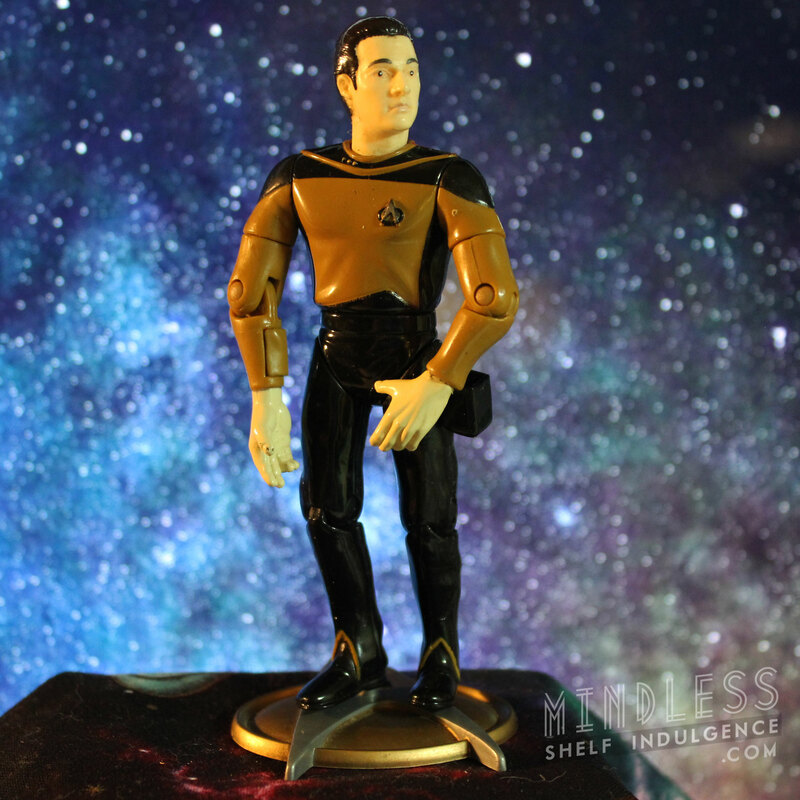 And, of course, 5.5″ Q with fencing action.